The release of J.D. Power’s Initial Quality Study has become something of an annual holiday at the corner of Vilas Road and Crater Lake Avenue in Medford. A few years ago, the idea of Kia and Hyundai being the #1 and #3 carmakers in the United States for initial quality would have been scoffed at by many. Yet now, Butler Hyundai and Butler Kia have a serious IQS rivalry going; we know one of our brands is probably going to land the top “non-premium” ranking, and each store hopes it will be them. Kia has taken top honors in the non-premium segment for two years in a row, even edging out the best premium brand this year, but Hyundai has finished in the top-two non-premium brands for three years running, including a #1 finish in 2014’s study. So while we at Butler Hyundai are happy for our hamster-loving colleagues across the street, we want to make sure everyone knows that the 2016 IQS isn’t just a Kia party. 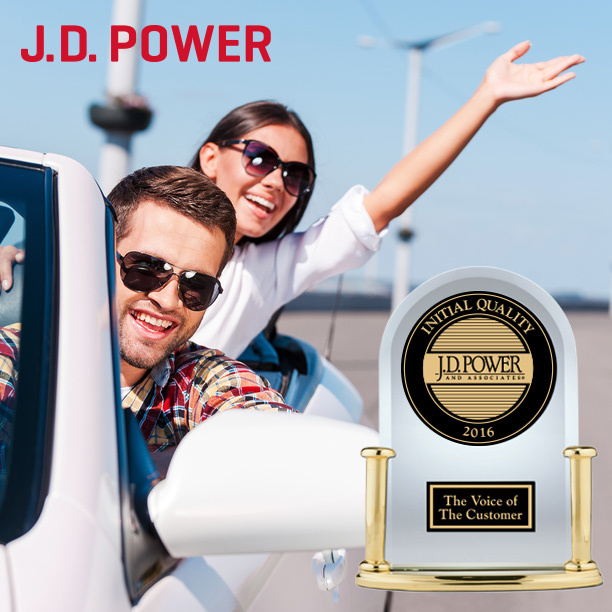 The Hyundai Accent, which is the least-expensive vehicle Hyundai makes, received the best quality score of any small car this year, and the Hyundai Azera took home top-honors among large cars. The Genesis, Veloster, and Elantra were runners-up in their segments. Kia may have won the whole thing, but Hyundai had more vehicles finish in the top-3 for their segment. Finishing third-overall for quality behind only your sister-company and Porsche is quite the achievement, and Hyundai has managed to pull it off for the second year in a row. But celebrating Kia’s success without recognizing Hyundai wouldn’t paint a complete picture of this year’s IQS, and we wanted to set the record straight: when it comes to initial quality, you should look at Kia and Hyundai. Our little brother may have beaten us this year, but it’s a real rivalry, and we’re already feeling confident about who will land the top rating in 2017.